South Jersey residents living in the 856 and 609 area codes will need to change the way they dial phone numbers on their landlines and mobile devices. The New Jersey Board of Public Utilities is reminding residents that a new dialing procedure will be going into effect on Saturday, August 18th. A good technician never underestimates what is under the hood since appearances can be deceiving — just ask Amanda Mutarelli, a student in Rowan College at Gloucester County's (RCGC) Automotive Technology program. With her dramatic eye makeup and colorful tattoos, this skilled technician knows firsthand how deceptive appearances can be. Mutarelli, of Glassboro, finds it amusing that she does not fit the stereotypical image of an auto technician. A self-described "girly girl with a passion for cars," she is most content when working in a garage surrounded by tools. Although being a female in a mostly male dominated profession can have its drawbacks, Mutarelli isn't one to back away from a career that gets her motor racing. At Liberty, you can stare up at the Eiffel Tower or roam the streets of Disney’s Magic Kingdom. “Elven Assassin” seeks to give you a true feel as you reach for your quiver, nock your arrow, and fire at hordes of orcs and trolls that rush toward your base. And games like “Fruit Ninja VR” can be an intense, fruit-slashing workout if you don’t mind flailing your arms like a fool. We are excited to announce the opening of a new business: Liberty Virtual Reality on Rowan Boulevard! Liberty VR is excited to be the first to present this new, exciting attraction to South Jersey! Grand Opening Weekend will be April 20th-22nd, with an official Grand Opening on April 21st at 10:00am. This Grand Opening Weekend will include free 5-minute VR trials and an iPad raffle entry to every guest! "They're the ones that are going to be solving the next engineering challenges so to be able to expose them [and] get them excited about it [will] hopefully increase that talent pipeline down the future." The young engineers also got the chance to work alongside current Rowan students to solve everyday problems with the help of science. The University has been working closely with Elite Development Program (EDP), the lead partner in West Campus Fields, to develop the complex. The plan includes a 4,500-seat arena, an indoor training center, more than 50 athletic fields, artificial turf fields, baseball fields, tennis courts, outdoor track and field venues, a hotel and retail space. Steve Shilling, president of EDP, told university officials that EDP believes they will be building the best youth sports venue in the United States. The facilities are expected to draw 1.5 million visitors a year, primarily for youth sports tournaments and training, and will be the home of Rowan University's athletics. 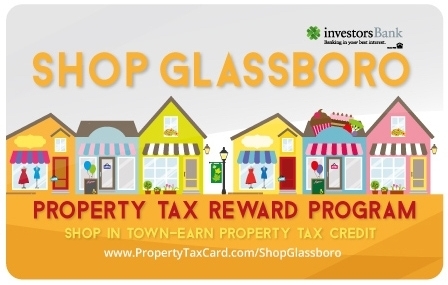 Can't wait to get Glassboro's Newsletter in the mail? Enjoy the digital version here! Our autumn newsletter is out! Read all about Glassboro progress, technology initiatives, and learn a few reasons why Glassboro High School sets the foundation for so many great futures for alumni such as Philadelphia Eagles new running back Corey Clement. It also includes some great coupons, discounts and offers from Glassboro businesses. Text RowanAlert to 226787 from your cell phone as you arrive on campus. If a public safety emergency occurs, guests and the Rowan community will receive a text message with information and guidance to follow. Rowan Boulevard, the massive mixed-use strip linking Rowan University and downtown Glassboro, has more retailers coming. 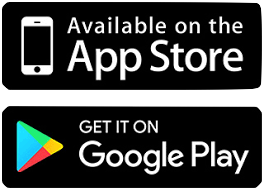 Glassboro has launched it's first Borough App specifically designed for Glassboro residents, businesses, and students on the move and in the know, who are never far from their smartphones. “This exposes the students to hands-on experiments and research and career opportunities in each of the disciplines that we have here at Rowan University, that being chemical, civil and environmental, mechanical, electrical and computer and biomedical,” said Basantis.